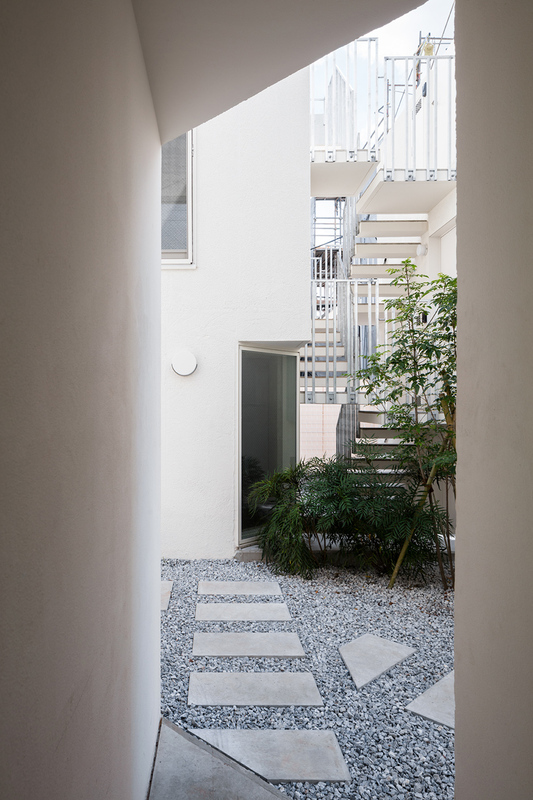 architecture in tokyo surveys the contemporary condition of the city’s built environment, showcasing a range of innovative projects and the diverse materials and unconventional forms employed in their construction. 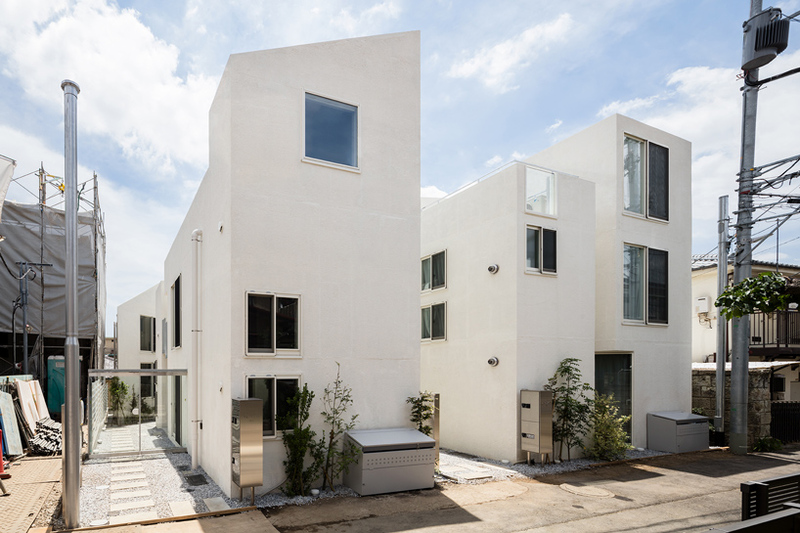 the uehara apartment complex by japan-based hiroyuki ito architects is sited in a residential area outside tokyo’s city center. 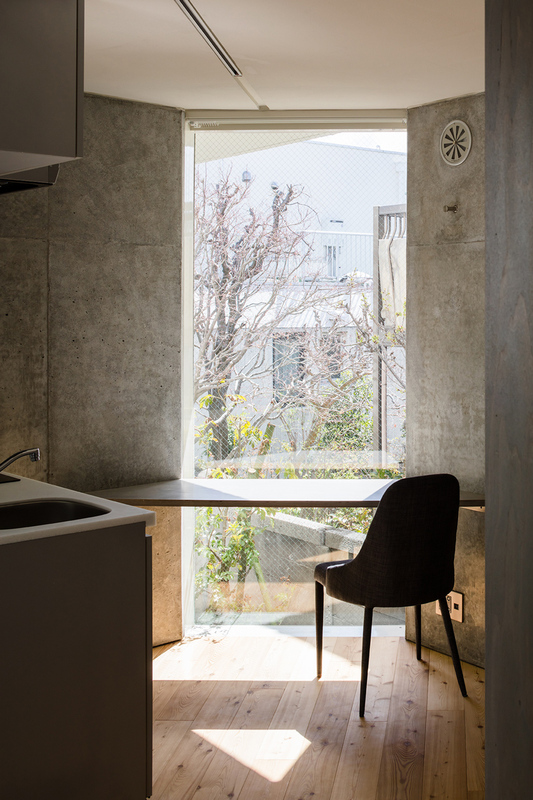 in the development of a residential project for multiple families within small dwelling units, the project was subdivided into independent structures. 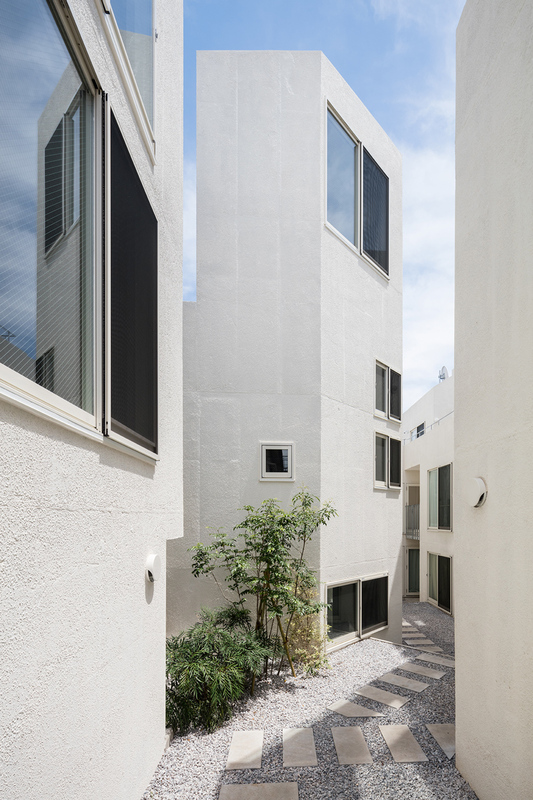 this subdivision, initially along perpendicular axes, served to generate a network of interstitial circulatory space. 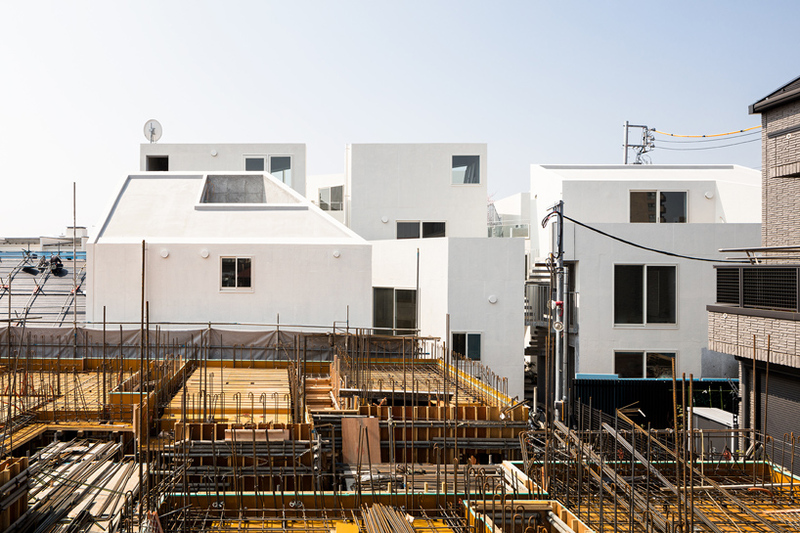 born from this condition was the proposal to truncate certain units in plan by 45 degrees, optimizing pedestrian movement throughout the complex and introducing variety between units. 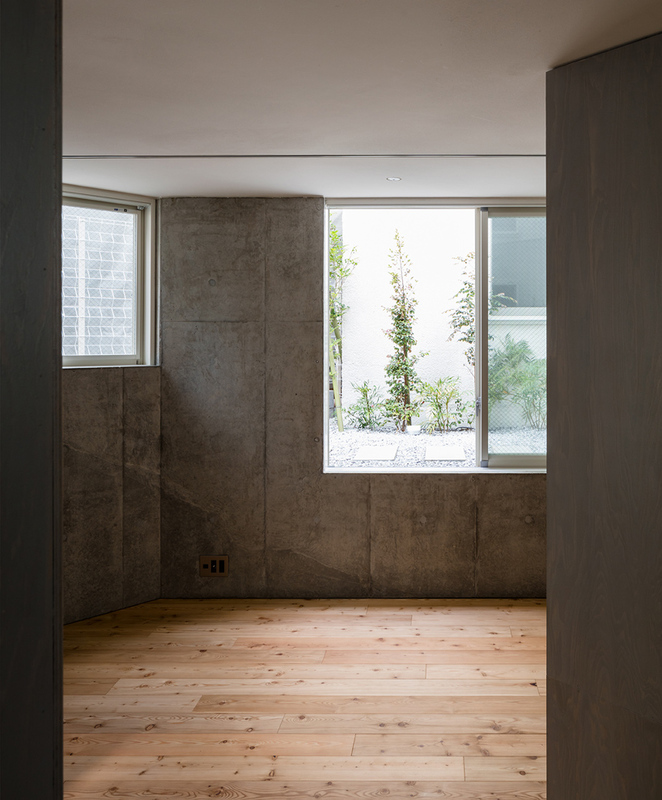 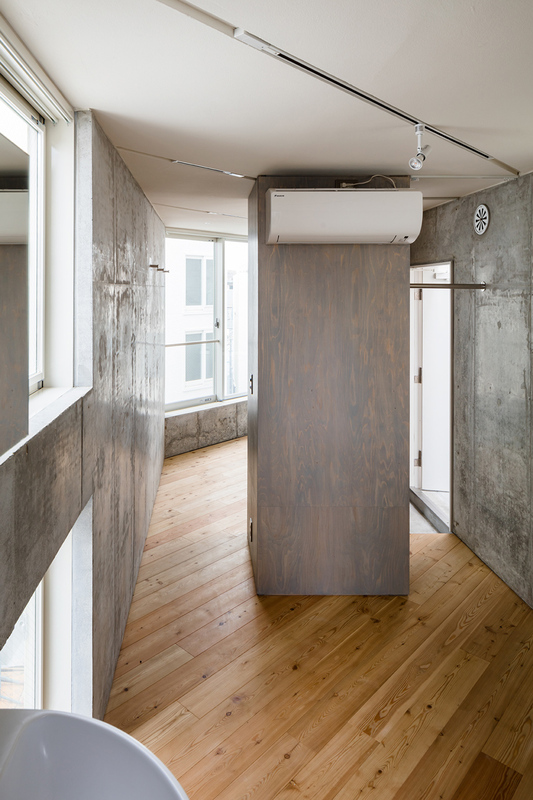 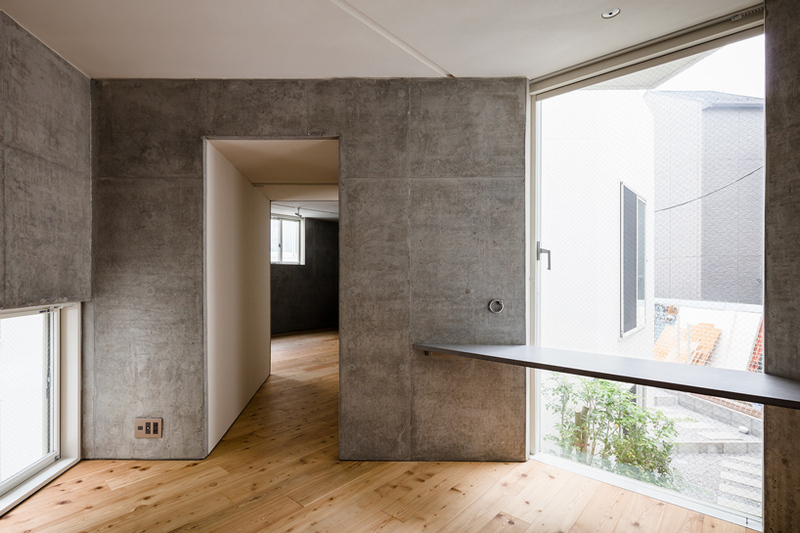 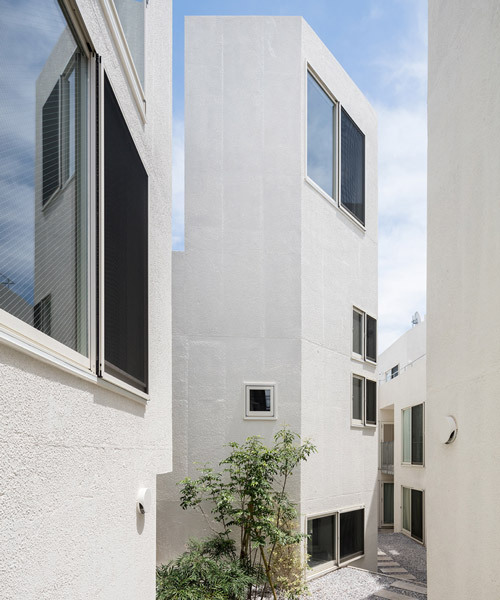 by imposing a new angle in plan, hiroyuki ito architects introduces variation in the space between units. 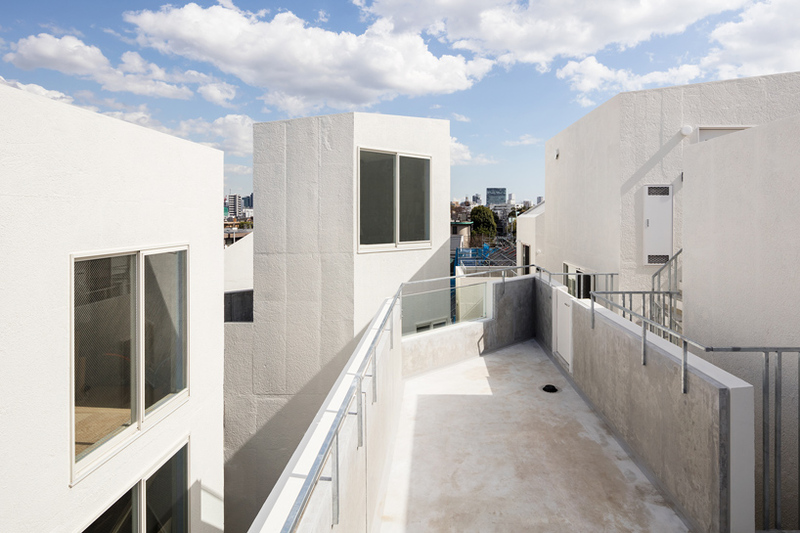 the gesture in plan harmonizes with angular elevational cuts which form a sloping of the roofs. 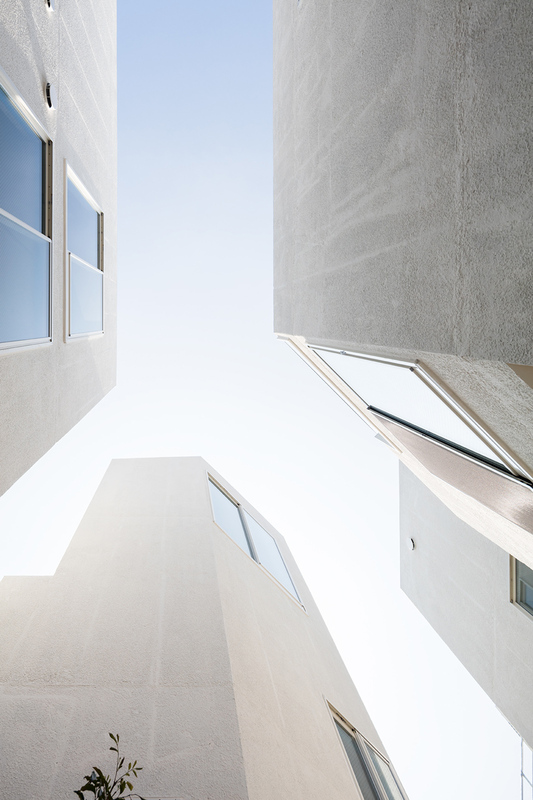 these angles in elevation are the result of zonal height line restrictions, in place to ensure sun exposure into the complex. 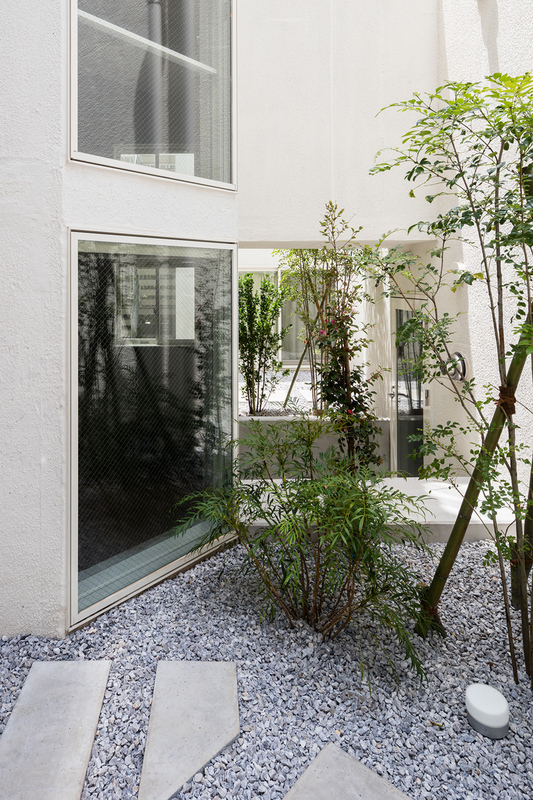 due to these regulations the angular cuts serve to ensure bright and pleasant outdoor spaces for the dwelling units. 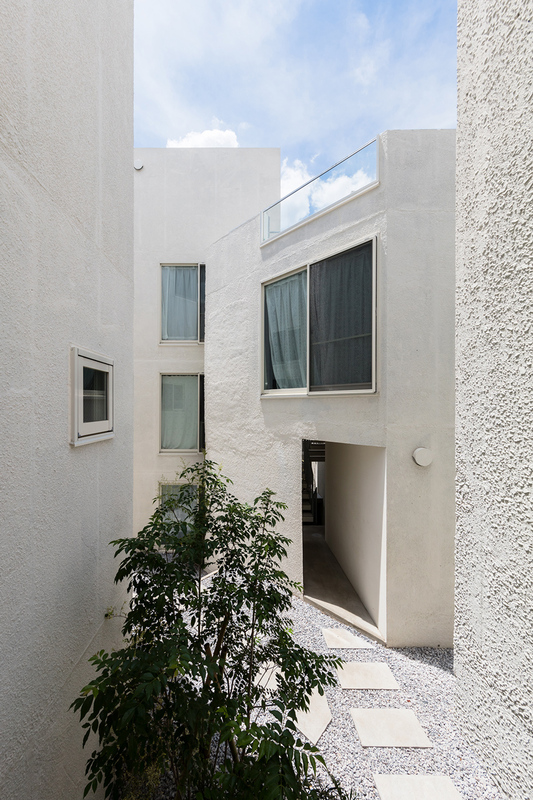 to further enhance the brightness of the volumes, the exteriors were painted white, and the interior was left as fair-faced concrete. 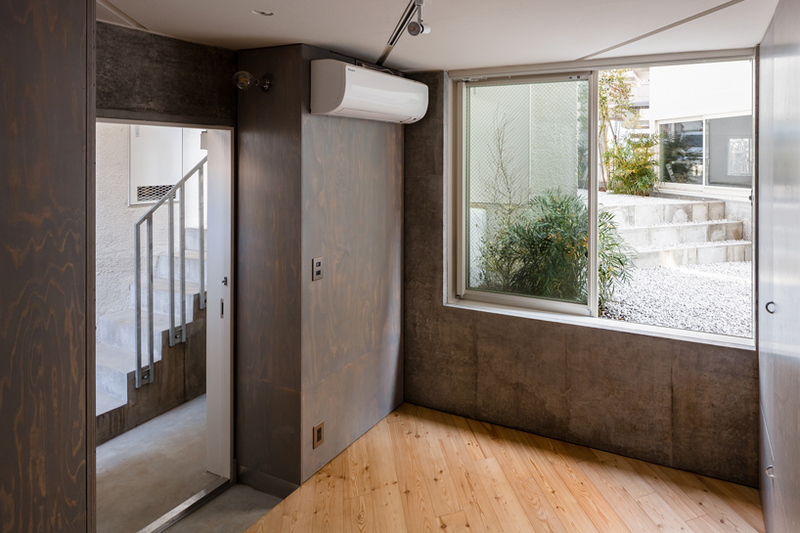 the interiors were finished with thin concrete paneling so that such details as wooden framing could be eliminated to save costs in the design, while the material thinness ensures maximum space within units.